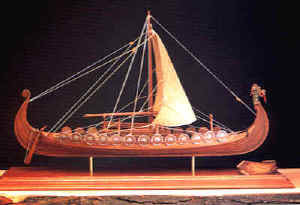 We specialize in Museum quality scale Viking ship scale models built from the Gokstad and other Viking ship plans. We can build to suit a variety of size and budget requirements, depending on the model. Understand the these models are built with an exceptionally level of detail required to keep the models authentic..
Captain Magnus Andersen's replica of the Gokstad ship Viking in New York Harbor in 1893. Need a top notch Web-site? Shop Camping World From the Convenience of your Home or Office! Laser-cut Keel, frames and sub deck components. Double planked hull construction in Lime and Walnut strips. Hull and deck fittings made from Brass, Walnut, Boxwood, and Beech. Cannons with cast barrels and carriages. Various sizes of cord for standing and running rigging. 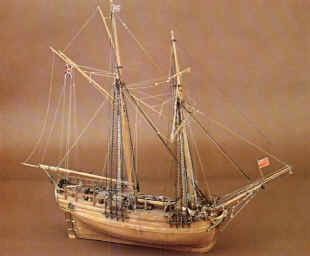 Walnut deadeyes and Walnut or Boxwood rigging blocks. Extensive full sized profile and plan drawings of the hull associated deck fittings. Complete spar and rigging diagrams and miscellaneous detail sheets to aid construction. However, there are no building instructions with this kit so the model is only suitable for modellers with previous kit building experience.